New Yorker Editor and Pulitzer Prize-winning author David Remnick was the keynote speaker at the CMC’s 69th Annual Commencement. Remnick, who received an honorary degree from the College, discussed “dissent, speech and politics,” recalling political protest and dissent when he was in college and comparing that time with what he sees today. Remember the Zen axiom: Nothing lasts, nothing is finished, and nothing is perfect. Out there is a land of never-ending holes, where brown is the new green. blues soul, and solemn low rumbles—speaking and teaching. The Student Marshal for the ceremony was Valedictorian Jared Austin Goldberg ’16. The Faculty Marshal was Professor William L. Ascher. 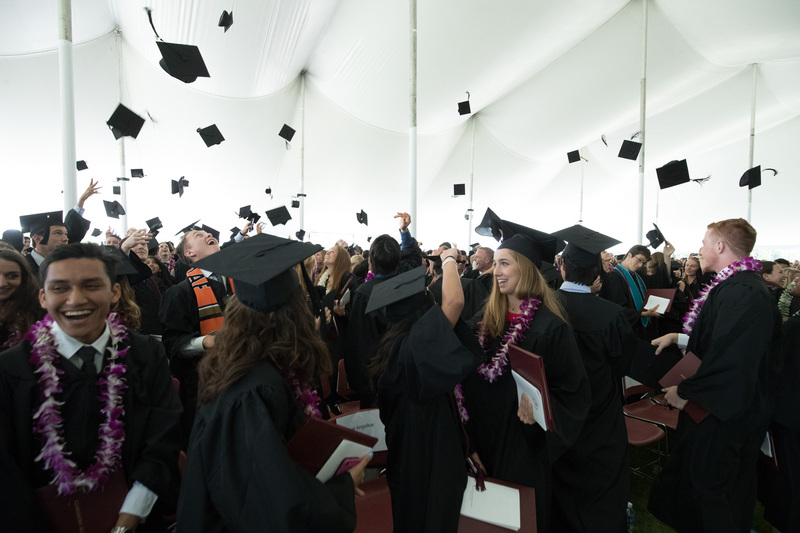 The ceremony included the singing of “Claremont McKenna” by Registrar Elizabeth Morgan. CMCAA President Susan Matteson King ’85 P’18 gave the Alumni Greeting. Senior Class President Kathryn Margaret Chakmak ’16 introduced the keynote speaker.